City of Gosnells Mayor Glenn Dewhurst. 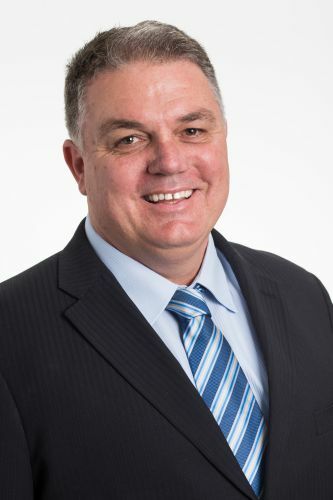 GOSNELLS Mayor Glenn Dewhurst will publically apologise at the next council meeting for sharing a Facebook post by an anti-Islamic group. The mayor shared a post on his personal account from the Anti Islam – Australia group on February 28, which accused Cadbury of removing the word Easter from its products. Ex-senator Glenn Lazarus initially published the post in 2016, which was later proved to contain false information. Councillor David Goode had proposed the council investigate whether the mayor had breached the council’s code of conduct by sharing the post. Cr Dewhurst expressed regret over the incident and said it was not his intention to support the anti-Islamic group by sharing the post. “My intention in sharing the Facebook post in question was not to endorse the contents of the post but rather to express concern at the current level of political correctness in this country,” he said. However, he said he did not see why he had to apologise, as he did not believe he had offended anyone from the Muslim community. “I’ve spoken to people in the Muslim community who helped me draft that response, they actually edited it for me and they took out the words ‘apologise’; they said ‘you shouldn’t have to apologise, all it’s going to do is create a divide in the community,’” he said. Cr Goode said he was pleased the motion passed and hoped it ensured councillors spoke in a fair and responsible way in the future. “I’m disappointed myself and other councillors had to argue the issue in the first place. I needed to ensure all councillors abide by the regulations and code of conduct in the future, especially inappropriate use of social media,” he said. Cr Serena Williamson seconded the motion and as said a member of public office, Cr Dewhurst was obligated to apologise. “I do not believe this was an attack on the mayor by any councillor, this was not a political, racial or religious debate, the motion was about the breach of the code of conduct,” she said. Cr Peter Abetz said the mayor had not done his due diligence in checking whether the information in the shared post was true and he had spread “fake news” by sharing it. “For me, it wasn’t about an attack on Islam, if his post was true he had every right to put it up,” he said. However, Deputy Mayor Terresa Lynes defended the mayor and argued he had not bought the office of the mayor into disrepute and Cr Dave Griffiths said the mayor had done his best to clarify the issue. The motion passed 7-5, with Crs Griffiths, Julie Jones and Liz Storer joining the mayor and deputy mayor in voting against the motion.